As of January 27th, 2011, I am an Independent Beauty Consultant with Mary Kay. I had sold Tomi enough on the idea to give me the money for my starter kit but other than that, I thought she couldn’t be bothered. Well, one night I go out to my car after work and I see an envelope on my dash. The first thing I did is back up from the car and survey the area all the while who had been in my truck. 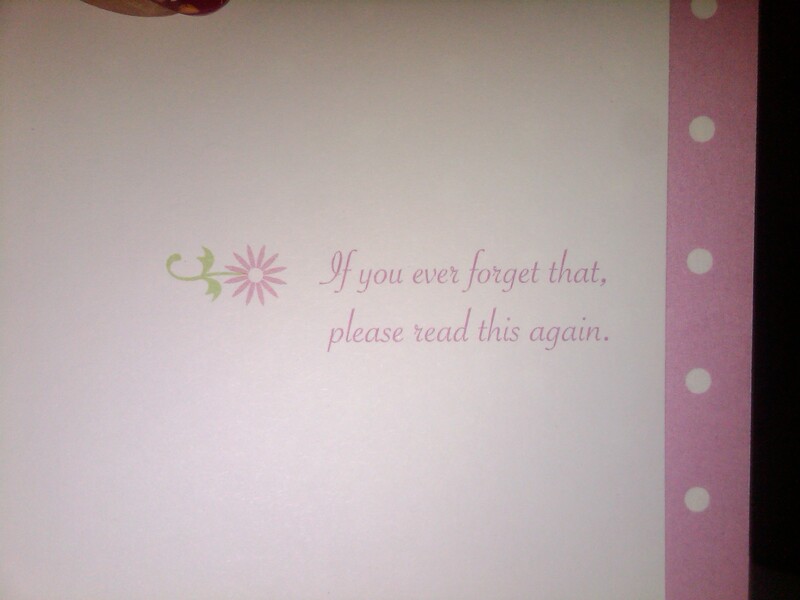 Once I was sure things were safe, I got in and opened the envelope. 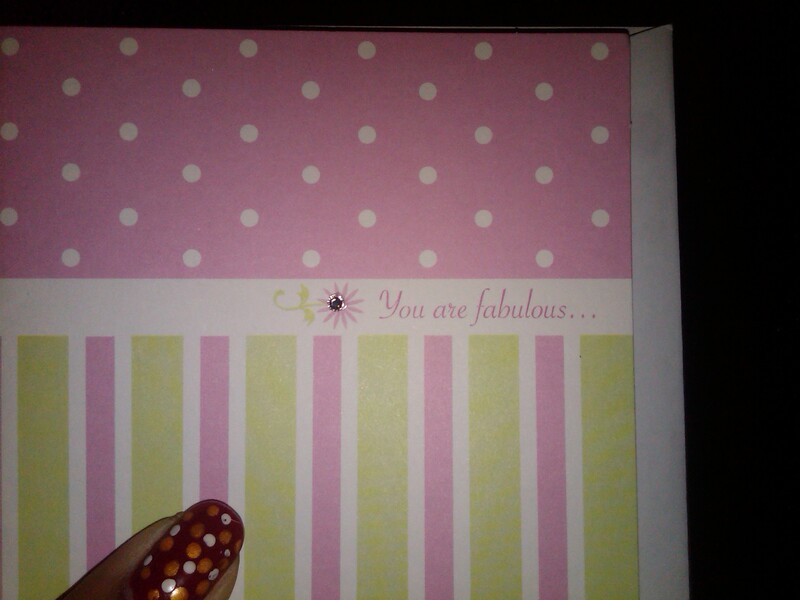 In it was a card telling me how fabulous I am (which I never get tired of hearing). There was a note written in it from Tomi telling me how proud she was of me for stepping out of my comfort zone and starting my Mary Kay business. She has been a great sounding board, brainstorming partner, walking advertisement and a really good sport about letting me scrub and rub stuff on her face. I appreciate having her support as I work to build my business.